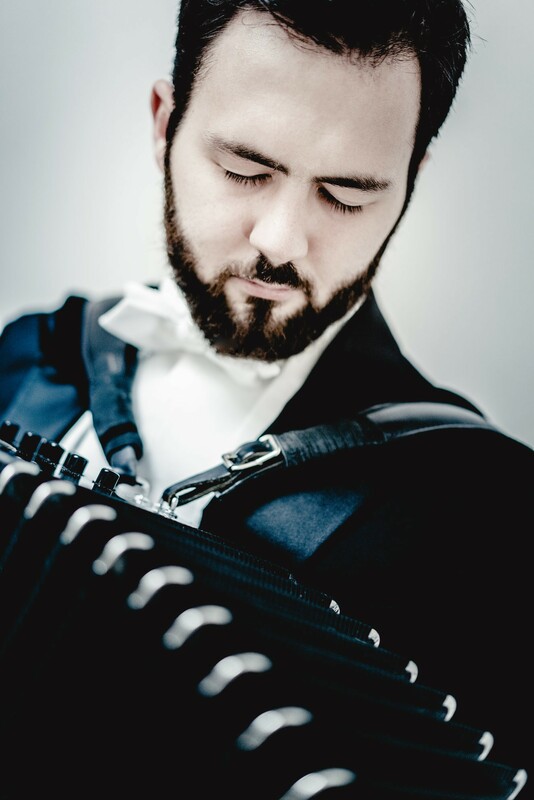 He achieves, with the sound spectrum of the accordion, new and never before perceived hues in works by Bach, Beethoven, Mozart or Scarlatti, resulting in enthusiastic cheers from the concert audiences of all ages. In various musical formations (among others with Ensemble Wien (Vienna Philharmonic)), with cellist Ana Topalovic (Duo-Arcord) with Signum Saxophone Quartet as well with the singer Juliette Mars (Vienna State Opera) he performed on international stages, such as the Philharmonie in Cologne, Musikverein in Vienna and at the Beethoven Festival in Bonn and convinced both the audience and the critics of his musical excellence. Contemporary music is also of great interest to him. He works with many composers and has performed premieres of works by Johanna Doderer, Akos Banlaky, Gabrielle Proy, Margareta Ferek-Petrić, Armin Sanayei, Marc Frieden, Ricardo Tovar, Elzbieta Wiedner-Zajac, Adrian Artacho, Wen Liu, Alexander Chernyshikov and Lukas Neudinger. He was honored to receive an Ambassadorship from the renowned Amadeus International School Vienna in 2018. More information on his website.